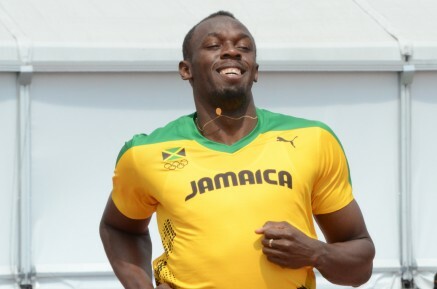 Usain Bolt (JAM) showed that he will be a contender for the World Championships in Osaka with a sizzling 19.75 seconds win in the Jamaican Championships in Kingston. The 20 year old smashed the 36 year old record of Jamaican legend Don Quarrie to equal Carl Lewis as the joint 9th fastest ever for the distance. After earlier in the day watching the American’s run fast in their Trials Bolt desperately wanted to break the National Record in front of his adoring home fans on the track where he won the World Junior title in 2002. He warmed up for the final with a 20.50 win in the heats before demolishing the opposition in the final, winning by almost half a second. Bolt knows that Tyson Gay and Wallace Spearmon await him in Japan but on this form it is likely to be a clash of the titans. World Championships silver medallist Delloreen Ennis-London (JAM) showed that her preparations are right on course with an excellent victory in the 100mH. The Texas based athlete clocked a season’s best 12.62 secs to take the title from Vonetta Dixon and Monique Morgan. Dello now moves to 4th on the world list this year and will try to move higher with a series of races in Europe over the next few weeks. A comfortable win by Jo Pavey (GBR) in the 5000m helped the British women regain promotion to the European Cup Super League. In the men’s competition 2nd places finishes by Michael Rimmer (GBR) and Tim Benjamin (GBR) helped the British men to 4th team overall. In a slow 800m race Rimmer took 2nd in the 800m in a blanket finish in 1:46.06 while Tim Benjamin showed that he is coming into shape with 2nd in the 400m in 45.67 secs. James Nolan (IRL) placed 4th in the 3000m for Ireland in the 1st League A Group in Vaasa, Finland.